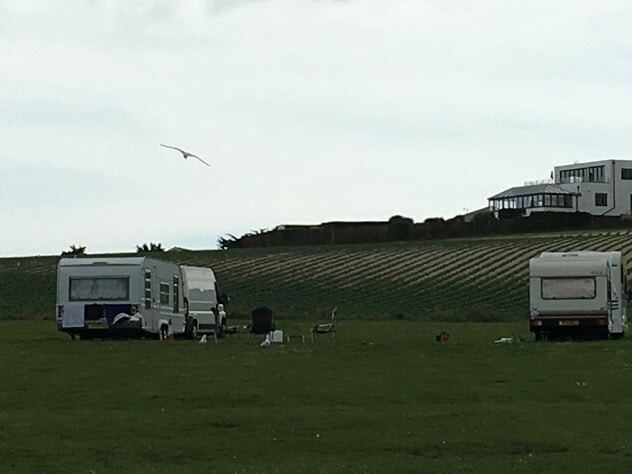 Traveller encampments on the isle have risen by a massive 15-fold in the past five years. In 2013 Thanet council dealt with two incursions. So far this year there have been 35. 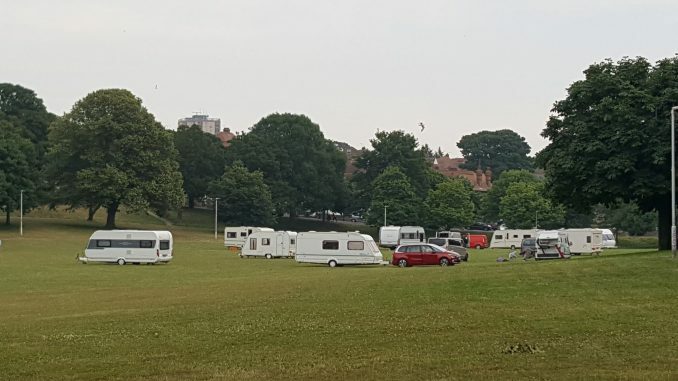 The number of encampments has climbed every year over that period with Thanet becoming a fixture on the map for some Traveller networks, whether groups stay just for the weekend or for longer. 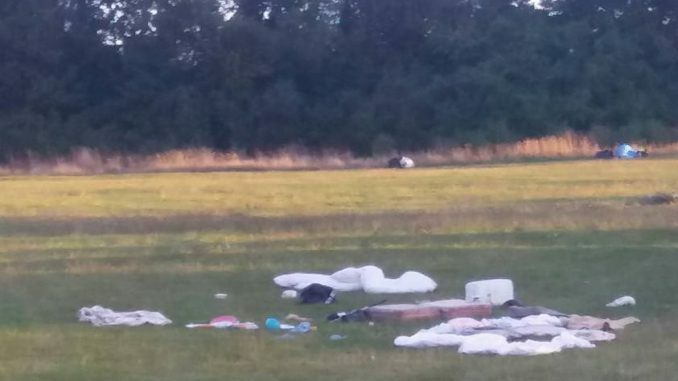 Hotspot sites this year have been Dane Valley, which experienced back to back encampments in April and another in July, Jackey Bakers in Ramsgate which had separate encampments during May and June, and Dreamland car park which has had five encampments. There have also been Traveller camps set up in Joss Bay, Palm Bay and Nethercourt. The isle has also had 63 illegal encampments this year – generally people in tents – at sites across Thanet. Thanet council is now examining ways of making vulnerable sites more difficult to access. Although many Traveller groups stay just over the weekend and leave before any legal action is necessary other groups prolong their camp until the last minute. This means time-consuming visits, detail gathering and, if necessary, applications to the court for eviction orders. Jessica said: “We are a popular tourist destination and many of the groups we talk to remark on the beauty of our beaches. “We are on their map, whether it is groups stopping before they go through the Continent, some come here for their holidays, some come back again and again. Many Traveller groups do not cause problems but issues with some encampments have impacted services and created growing court costs. Jessica said: “We engage with all the groups and map and record details, such as number and types of vehicles and registrations. The problem with this is sometimes vehicles don’t match the registrations, which are being exchanged. “We are only responsible for incursions on council land but we do work to notify landowners if groups are on private land. “We need to find out why they are there, take the details, find out if there is already an order on the group or if they have previously been in the district. “We give 24 hours to move on unless there are exceptional circumstances, such as welfare needs. If there are pregnant women they need to have evidence that they are accessing local services. How quickly the court process is carried out varies on when the case can be listed for a hearing and whether the summons is issued. Sometimes the court will make it enforceable the same day, on other, rarer, occasions Traveller groups may be given several weeks to leave. Each application to the court has an initial cost of £226. If further hearings are necessary this can go up to £355 each time. If another vehicle arrives on site during this period it becomes a ‘new’ incursion and the process must begin again. There is also an impact on services, especially if sites need to be cleared after groups have left. 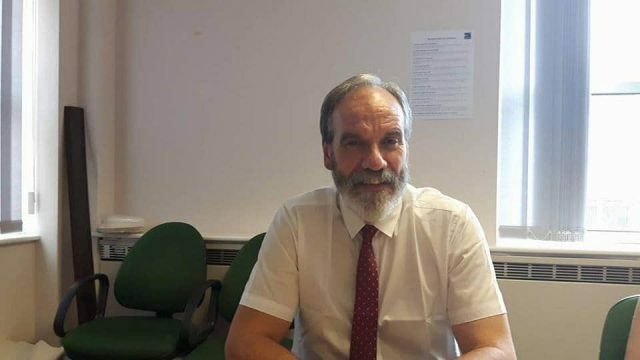 The increase in Traveller groups coming to Thanet also means the council may now have to look at whether it is obliged to create a registered site, even though there are many groups who prefer not to use official sites. However the rise in the number of encampment this year could mean a review of that assessment. 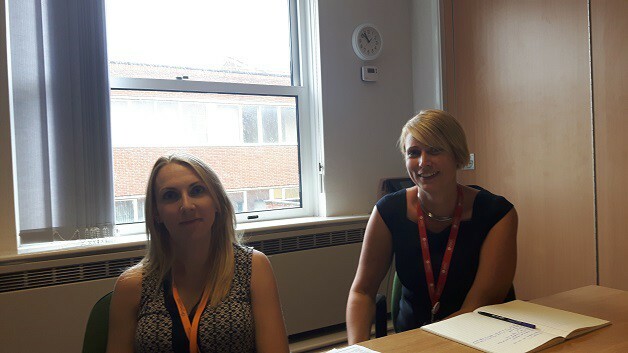 Penny Button, from Thanet’s safer neighbourhoods team, said: “There has been a similar rise in incursions across east Kent, particularly in Canterbury and Shepway. The nearest authorised areas to Thanet are at Aylesham and Canterbury but according to Kent County Council there are currently no plots available at these sites. According to a report by the LGA there are around 16,000 Gypsy and Traveller caravans in England. Around three quarters of these caravans are on authorised sites. Many of these sites are well-managed and are an accepted part of the local community. 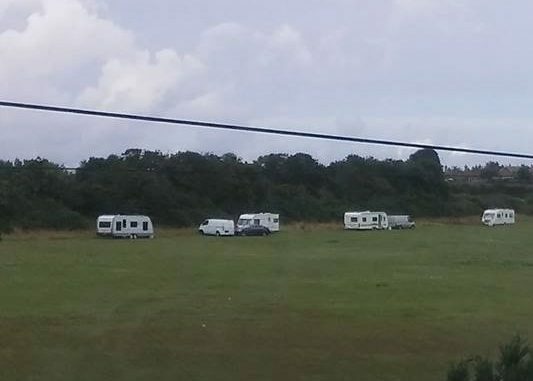 In 1994 the duty on local authorities to provide sites was removed and since then under-provision of authorised sites has resulted in Gypsies and Travellers camping on land that they do not own (unauthorised encampments) or developing their own land without planning permission (unauthorised developments). 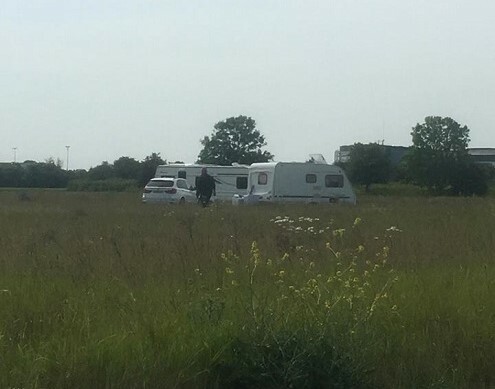 While the number of caravans on unauthorised encampments has started to decline, the number of caravans on unauthorised developments has increased. The average size of an unauthorised development is around 4 caravans, and private sites with planning permission have an average of 6 caravans. Joss Bay car park would be fine for this purpose, at £9.00 a day.